Being present at each birth has been an honor. Each birth is a unique, beautiful, miracle of life. part of your birth experience. In case you wonder when looking at the pictures: You will rarely see a picture of me holding a baby at a birth, why? Because I believe the baby needs to be with mommy or at the very least daddy, if I do hold the baby it is usually because mommy or daddy can't. My first priority after the baby is born is to encourage skin to skin, bonding, breastfeeding, and respect for that sacred time when mommy's and baby's eyes lock and connect for the very first time! In Spain I had the pleasure of serving this couple and their baby though pregnancy, birth and post-partum and the honor of witnessing a great midwife assisting in a gentle birth. I put this video together as a gift from me to them. (Please note there are some graphic birth images). 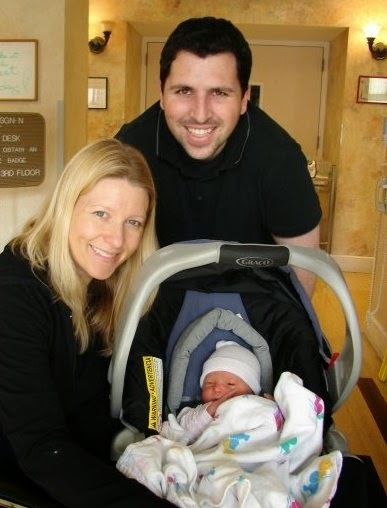 Having the right care provider is key and this couple had an amazing midwife. Fortunately they also had faith, persistence and strength they didn't even know they had, which led them to a beautiful and respectful birth! "Zeresh was the key to success to my VBAC. I attended a chat at 32 weeks organized by her with the founder of Water Birth International Barbara Harper and I immediately knew I wanted her next to me during labour. She came home and wrote down all my birth desires and she helped me meet with a midwife who would respect them. We did some pre-natal classes where she showed us videos and explained all the process of birth. We also practiced labour positions: she has loads of resources (books, dvd's...) and is really professional; but most important is that she's passionate and warm. My labour lasted for 3 days and 3 nights. The cds of hypnosis, that she recorded with her soothing voice, helped me sleep even with pain. She also did massage, accompanied me during contractions and encouraged me to eat and drink. The third day I decided to go to hospital; the pain was unbearable and I was getting exhausted. I tried to give up on 4 occasions crying I couldn't go on, and she was my rock, reminding me who I was, what I really wanted and how near my goal was. In hospital she fed me in the bath, did some exercises with me to help the baby get in the right position, she eased the pain gripping my lower back tightly during contractions, took lots of precious photos and video without me noticing and helped me with breathing techniques during the last and most painful contractions. It was time to push and I still couldn't believe I was going to make it! She sat quietly on the floor, filming and whispering answers to my man's never-ending questions. They saw the head (and after 65,5 hours of labour that is a very exciting moment!). My hubby got overexcited and told me to push hard but she reminded him to stay calm, always being extremely respectful. When I finally had my baby in my arms she backed so as not to interfere in that precious bonding moment. She will forever be my hero and I will always be grateful she was my doula." Every birth is different, but what remains unchanged is that each woman has the right to birth the way she wants! "After taking the Bradley Method birthing classes and trying to prepare myself for a natural birth as much as possible, I still felt nervous about the whole process and hired Zeresh to provide information and support to my husband and I throughout the process. It really was one of the best decisions we made as she proved to be a vital part of a successful birth and even in my initial struggles with breastfeeding. My labor was very short and luckily Zeresh advised me to go to the hospital when she did otherwise I would have had my daughter in the car! Her kind words and encouragement helped me keep calm and deliver my baby naturally in the position that I wanted (despite the doctor's protests). Though I had my daughter a mere 30 minutes after arriving at the hospital, I ended up needing surgery after the birth and I was so entirely grateful to have Zeresh there. She was able to relay messages between myself and my husband, who stayed with the baby when I went into surgery, and to provide support to my husband in a very emotional moment. 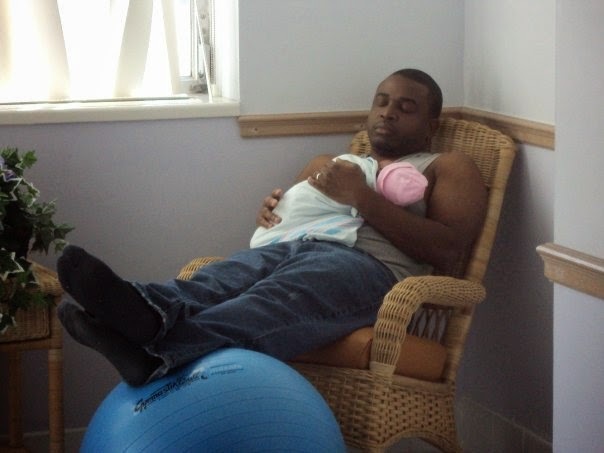 After arriving home I also struggled with improper latch and painful breastfeeding. Zeresh came over for almost an entire day to provide moral support and to help with position and latch issues. And here I am today 2 years and going strong breastfeeding my daughter. I could not have done it without her. I cannot thank her enough and would definitely hire her again should we choose to have another child." Brandi, John, and baby girl Lyric. Sometimes things don't go as planned (face presentation) but being prepared, having the right support, and knowing you did all you could helps in the acceptance process. The choices we make in pregnancy and birth are very important, sometimes those choices lead us in a direction we didn't want to go, but having a loving hand to help can make a tremendous difference. "Having Zeresh as my doula was wonderful during the birth of my daughter! She was attentive and helpful to all my needs. My birth didn't go anything like I planned but Zeresh was able to be there for me for support, which was very comforting. She was my advocate in the hospital, making sure my birth plan was followed as close as possible given the circumstances (induction then emergency c-section.) She was the only one who encouraged me to breastfeed right after my daughter was born. I don't know if I would have done it without her there to guide me, I was a wreck!!! During the first week at home she was only a phone call away whenever I had a question or concern. Zeresh has a true passion for childbirth and I'm so glad she was a part of my birth team :)"
"Though I was not aware of what a doula was in the beginning, my sister highly recommended that we hire one because she told me she had the most amazing experience all throughout her pregnancy and her labor. After doing some research, we felt we liked Zeresh the most and we were totally right! She doesn't even know how much I appreciated her being there for my pregnancy and birthing. She was such a great support, helping me to believe this experience is suppose to be exciting, never fearful nor stressful. Without her, I would have never had a much confidence as I did! I also truly believe we have one of the calmest, happiest baby I have ever seen because Zeresh helped us to know exactly what to expect and what is best for the baby during pregnancy, during birthing, and being a new mother! She hardly cries (literally 30 min at most all day) and she sleeps all through the night!!! My husband and I also tried hypno-babies as recommended by Zeresh and we absolutely loved it! I definitely recommend having her during your pregnancy, at least meet her and go through with the interview ;)!!!!!" "Zeresh was my wife and my labor support and birthing doula, to be honest at first I was opposed of having a doula throughout this birthing process. Was I ever wrong! I personally don't know what I would have done without her. Through the education and consultations that began very early to the day of labor. The entire process wouldn't be the same without her! Great services and highly recommend her for any services you want when it comes to the birthing process, whether it be education, or support etc."